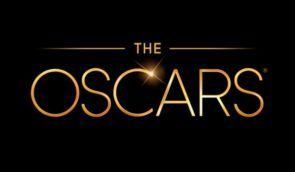 Oscars 2019: Academy Award Nominations Announced 22 January, 2019- The Oscars 2019 nominations are in... and there might be a few surprises. Disney’s Jungle Cruise just added Emily Blunt to star opposite Dwayne Johnson. Sorry Marvel fans – an Avengers / X-Men crossover won;t happen for a long while yet. Jesus is back! Jim Caviezel is in talks to return for The Passion of the Christ 2. It’s finally here – Mute just releases its first official trailer… and it’s bloody good. Sorry President Trump – The Purge is taking aim, and you’re firmly in its sights. It’s official – Ant-Man and the Wasp looks absolutely amazing. Big smashy robots go nuts in new Pacific Rim Uprising trailer. It looks as though the Jumanji sequel is getting its own sequel! Barbie has just been put back on the shelf… until 2020. The upcoming Cloverfield movie may be heading to Netflix… and that likely means no theatrical release.